Large mycotoxin loadings of DON and ZEA have been detected in some samples of new crop wheat and barley, according to Trouw Nutrition. So far in 2017, the company has tested 198 new season grain samples for possible mycotoxin loading as part of its CerealWatch survey. To date, 6% of these samples have tested positive for mycotoxins. The largest levels have been for both Deoxynivalenol (DON) and Zearalenone (ZEA) in wheat and barley. A small loading of T-2 Toxin (T2)/ HT2 has also been detected in new crop barley, however at a level that may not impact health or performance. Although not affecting a significant proportion of the grain samples tested, the levels of mycotoxins detected are potentially harmful and may affect pig health and performance depending on the cereal content in the finished diet. The company stressed, however, that although its results are accurate for the samples submitted, they not be fully representative of total mycotoxin loading in grains due to difficulties with sampling. It is common for fields, for example, to have ‘hotspots’ that are more prone to moulds which can make some parts more susceptible than others. Although mycotoxins are commonly found in grain, they may also be present in the straw. The company said: “It is important to prepare and store straw appropriately to ensure minimal mould growth, thus reducing the risk of mycotoxins. It is also advised to avoid bedding livestock on poor quality straw which may pose a possible risk of mycotoxin contamination. “However, it is important to note that not all mould infected straws and grain have mycotoxins present and not all mycotoxin infected straws and cereals will exhibit visible signs of mould. As well as monitoring straw, it is important to note that storage mycotoxins are also very common in grain and may proliferate at any stage. Why are mycotoxins a problem? 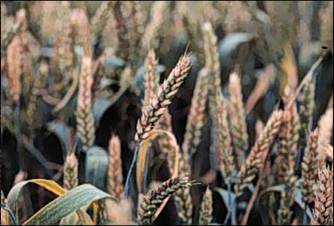 Mycotoxins are produced from moulds under periods of stress and may be found in crops both in the field and in storage. Mycotoxosis caused by DON may lead to immune suppression, reduced gut integrity, reduced feed intake and vomiting. Mycotoxosis caused by ZEA may lead to reproduction and fertility problems, prolapses and reduced feed intake.